Working collaboratively with public health practitioners from Charlton Athletic Community Trust (CACT) and Royal Borough of Greenwich, I have developed a number of original roadshow campaigns in line with local need and in a cost effective manner, tackling health issues including mens health and smoking cessation. 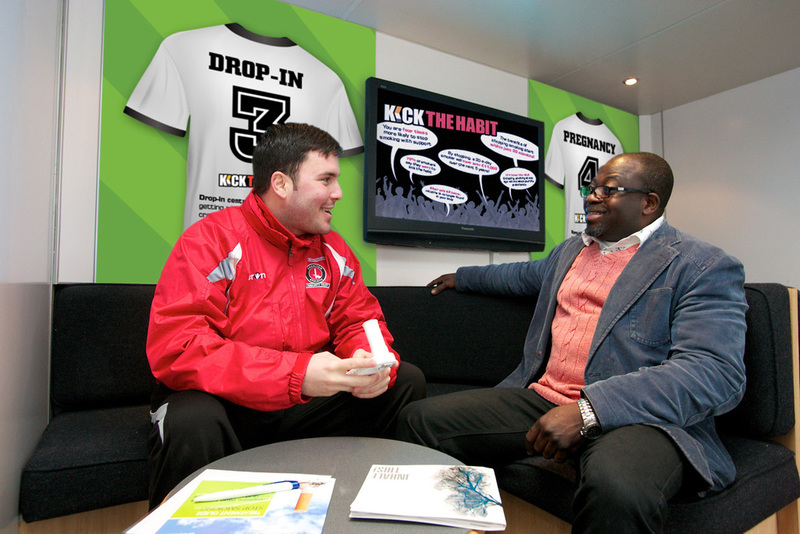 The ’Kick the Habit’ campaign brand was rolled out onto a roadshow trailer and promotional materials. Situated outside various football grounds in London on match days, the design of the roadshow appeals to football supporters communicating positive and encouraging messages of support. In 2014–15, the campaign contributed to a fall in smoking prevalence in the Royal Borough of Greenwich, from 29% to 18%. I have also successfully translated national current public health campaigns including Stoptober and Smokefree Homes, into the roadshow format and produced targeted, localised materials, delivered with the backdrop of national campaign advertising. 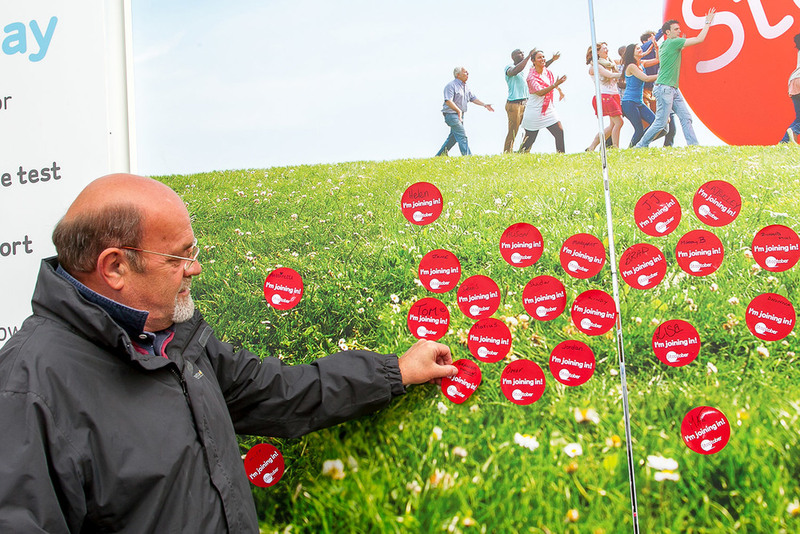 The roadshows have helped hundreds of people make positive steps towards a more healthier lifestyle.